My trip to Cebu was really more on a foodtrip than sightseeing. Well, I've been to Cebu several times already and I've seen the popular landmarks so this time around, the thrill is in finding new restaurants. Luckily, my former officemate whom I haven't seen for more than a decade (close to two decades actually), also happen to be in Cebu. 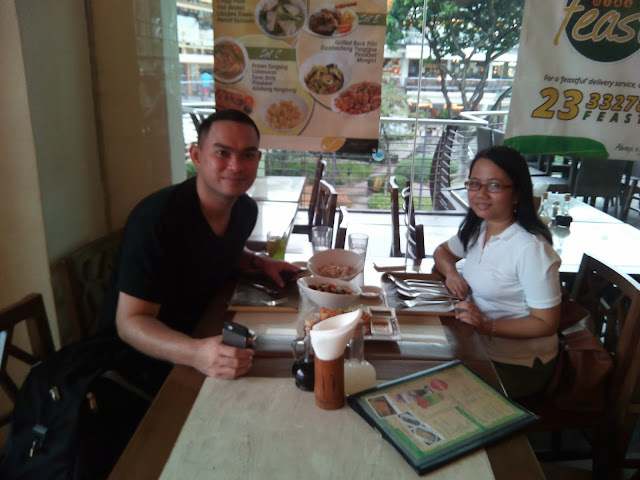 So we were suppose to schedule a dinner date, but because he's there on official business, we agreed to have late lunch instead. I suggested Dessert Factory, he suggested Casa Verde. When I said yes to Casa Verde, he suddenly said "hukad." Say what? I thought he's speaking to me in Cebuano. 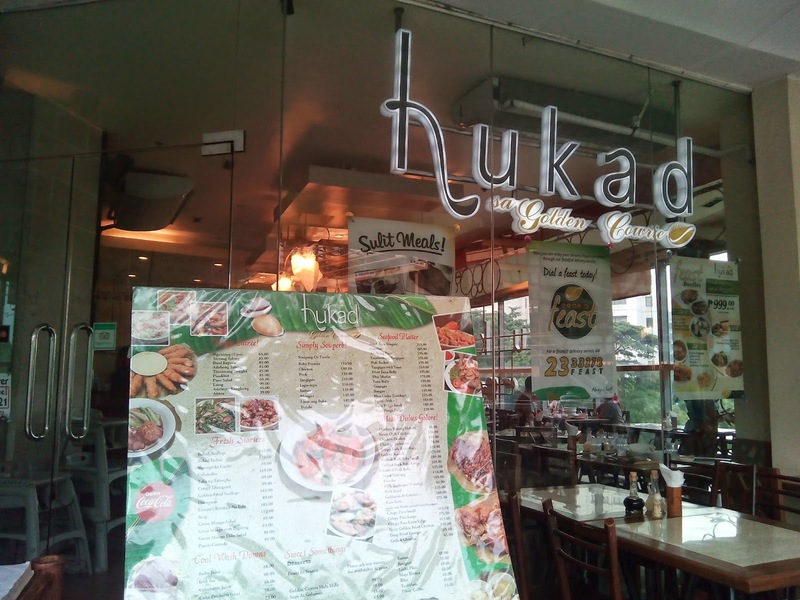 It turns out, Hukad is the name of the restaurant- hahaha. Since it was way past lunchtime when we met, the restaurant has only a few tables occupied. Its located in Ayala Terraces, by the way. He took charge of the food since he already dined at Hukad and liked the food there. Ginataang Langka. 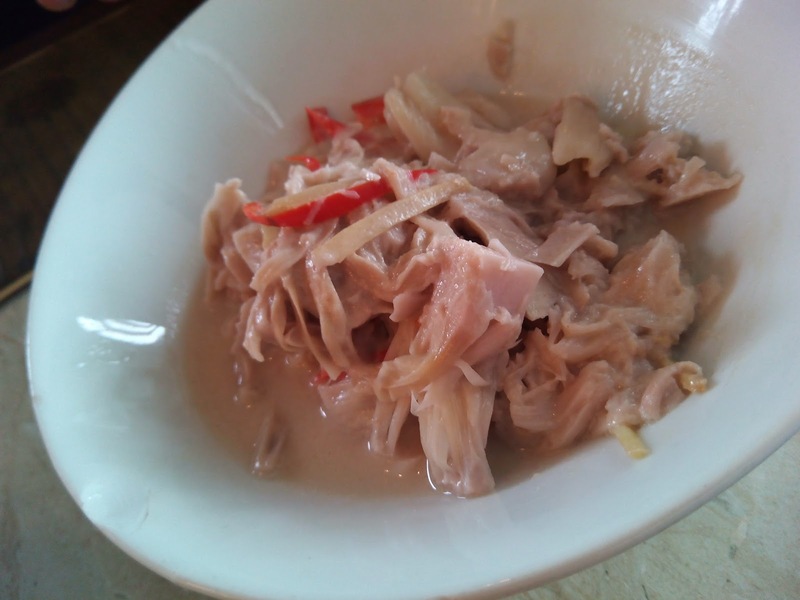 The langka (jackfruit) is cooked in coconut milk so aside from being tender, its creamy. It also has just the right hint of spiciness. We both stopped eating rice so having a spicy dish is a no-no. For me, anyway. Pinakbet. 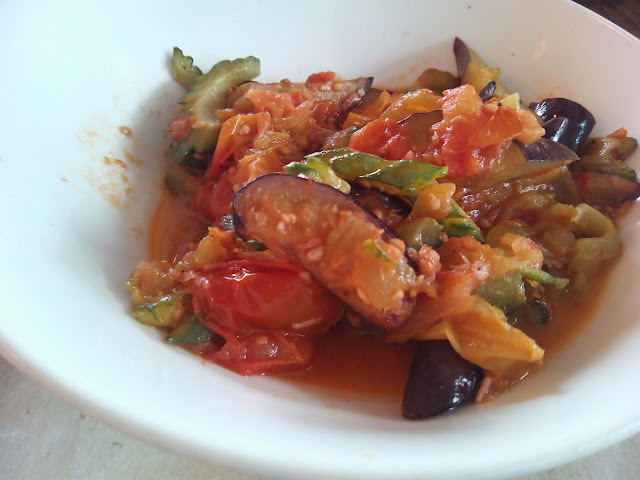 Doesn't taste like the shrimp-salty pinakbet of Northern Luzon and Manila) but this pinakbet has a character of its own. I really can't quite pinpoint the difference since I just ate the ampalaya (bitter gourd), but it taste good and light on the tummy. Ngohiong. This I ordered from the menu. I've been a fan of ngohiong since 2008 I think. I always crave for it whenever I'm in Cebu. However, some seem to be lacking in taste and spices. The ones that I like are from Guadalupe area. This one tastes okay though. 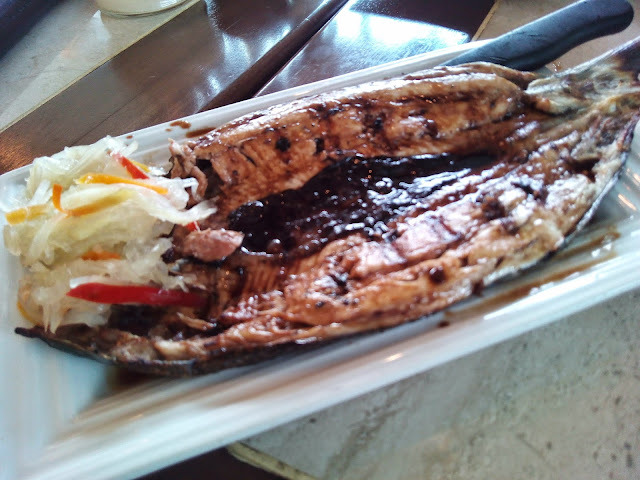 Grilled Bangus. This is a huge bangus and tastes fresh and juicy. Pairs nicely with the achara but you need to ask for extra serving since the achara portion is "konti." Oh Hukad! Sarap! Tried it at Trinoma Mall. Pero syempre iba pag sa Cebu! Hopefully, I'd be able to visit them soon. Looks like you ordered a lot for two people! I want to go to Cebu just to eat. Heard nice reviews about the local restos there! Yeah, we did order a lot- hahaha. hope to visit Cebu also.. I've never been there in my entire life. The farthest that I've been to was in Bora and my hometown. Yeah.. Not too much of a traveller but I would love to go there when budget permits. Ah, one of the things we love to do when out of town! 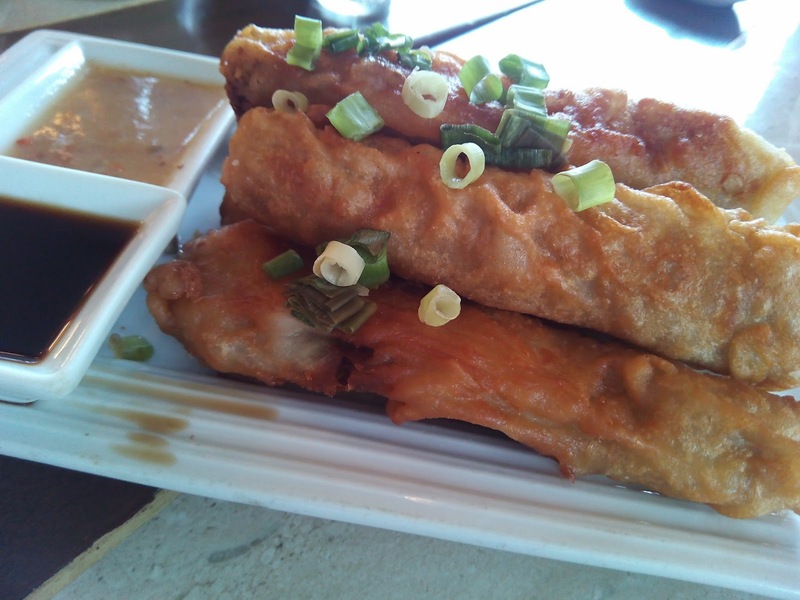 Food talaga is one of the best ways to immerse yourself in a certain culture. Will keep this in mind for a Cebu trip! gosh, it's been more than 2 decades ago since i was in Cebu. Have to go back coz i've been seeing a lot of travel posts and seemed like the places have improved. I have not tried eating at a resto in Cebu when I was there.I only tried the night "mercato" style strip. But i've tried a Cebuano resto here in BGC and I liked it. Favorite ko yung ginataang langka pero ano ba yun Ngohiong? what does it taste like? sounds interesting, first time that I heard about it. Interesting food, especially Ngohiong, di ko alam yan! The name sounds familiar. I wonder if my SIL has mentioned it already before. She and her family are based there. I've heard about Casa Verde a lot from her too. I love ginataang langka also! It's nice to know that there's another good option when we visit Cebu next time. When in Cebu, food always comes into mind. They not only have the tastiest lechon but one of the best pasalubongs. Their diners as well are to go to and Hukad is no exception. I'd love to have that spicy Ginataang Langka. What is Ngohiong, by the way? I haven't heard of this dish before. When we went to Cebu for an overnight it also become food trip. 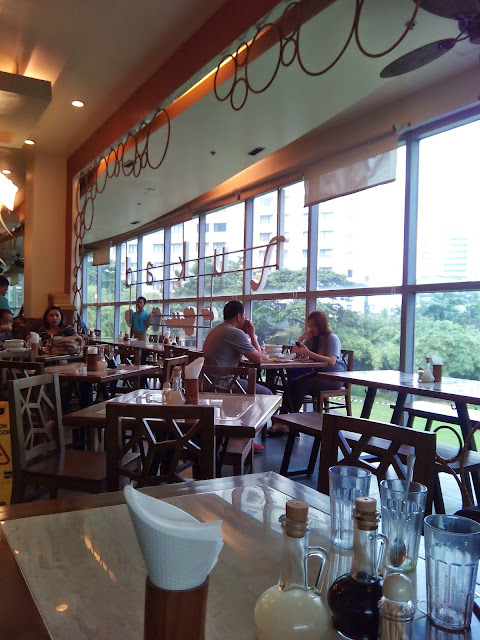 I love Casa Verde, hope someday I can try this resto. I miss Cebu promise! Naalala ko lang last 2012 yata if I'm not mistaken sulit na sulit ang gala namin with churchmates, ang sasarap ng foods nila jan. Naglalaway ako sa ginataang langka. huhuhu! nakakagutom.